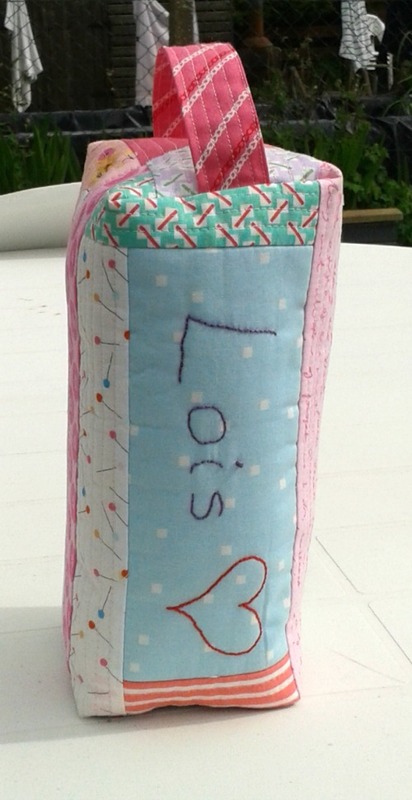 Patshyn Catrin: A small finish (or two) and some news! A small finish (or two) and some news! I followed Noodlehead's great tutorial and it couldn't have been easier. I actually found it easier than a normal zippy pouch and the fact that it opens wide makes it so much more useful. 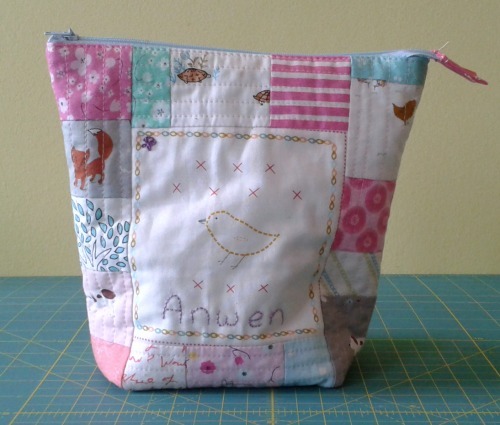 I used Annela Hoey fabrics throughout (well, apart from the lining which is an unnamed solid I found in my stash) and love the finished article, and more importantly, Anwen does too! Look! 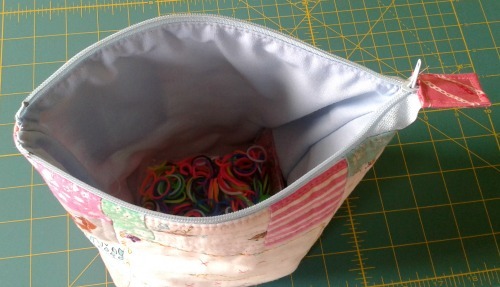 It really does open wide and is a great place to store those Rainbow Loom bands! Again, this one was made with QAYG panels of Aneela Hoey fabrics and the embroidery was stitched during the same hospital appointment. 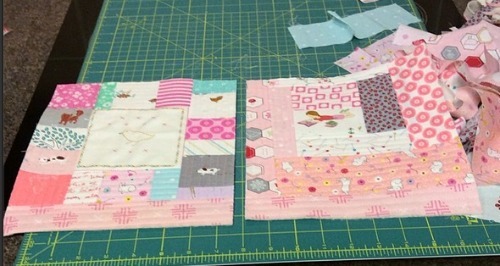 Nearly forgot to add that both these pouches were sewed up using Aurifil in a beautiful baby pink colour. 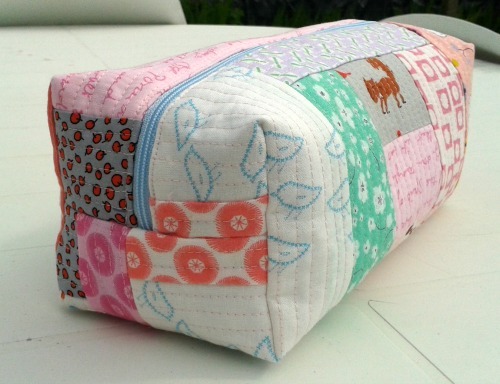 I really love Aurifil - I was sewing through quite few layers in a few places and didn't have a single thread break on me! So lets hope that this isn't my last finish of the quarter, linking up (eventually) to Katy and the rest on the finishers! Oh wait! I promised you some news didn't I? 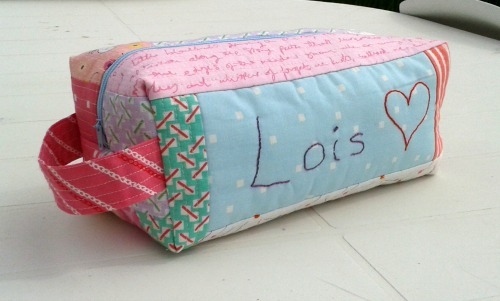 You know that hospital appointment I did all that sewing during? Well, who'd have thought it but apparently 24 hour nausea and utter exhaustion are common side effects from incubating one of these! 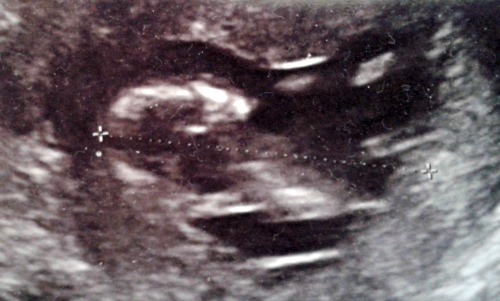 Baby Lewis number 3 due November 3rd 2014!!!!!!!!!!! Ooh congratulations- did you have an inkling or was it a surprise?! Congratulations! Hope you are feeling a bit more human now. Congratulations! For such little things they can make us feel so terrible!! 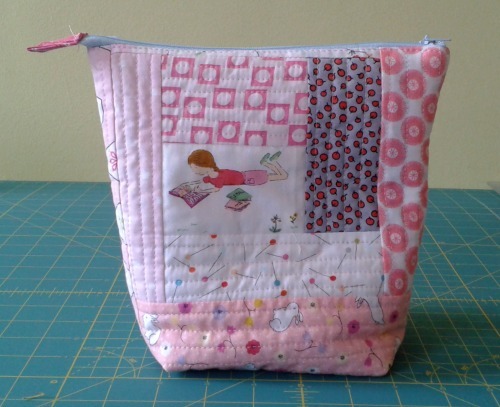 Love the boxy pouch, it is perfect! Congratulations - will you add the baby to FAL??? Oh and the pouch and pencil case are lovely. Congratulations, Catrin, I had some suspicions ;-) Hope you're feeling better soon!! And some lovely finishes! Congratulations! I wanted to add this after all of the crazy SMS giveaway comments. I hope you are feeling better. Oops, apparently I forgot to congratulate you on these WIPs at the time!